Mae Young Classic competitor Sage Beckett has been released by WWE. 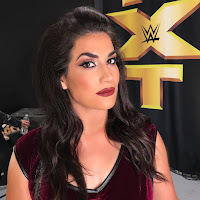 Beckett, who was previously known as ‘Rosie Lottalove’ in TNA and ‘Andrea’ on the independent circuit, was signed to a NXT deal back in January 2017. She competed in the Mae Young Classic last summer, losing to Bianca Belair in the first round. Beckett’s release follows the news that fellow MYC competitor Abbey Laith (aka Kimber Lee) was also released from her contract. According to Pro Wrestling Sheet, Laith was informed of her release last night.